The many wildfires in northern California are bad but the planespotting in Roseville is good. It’s a thrill to see newly refurbished Douglas DC-10 tail number 911 overflying Roseville on the way to McClellan Field’s runway 16. 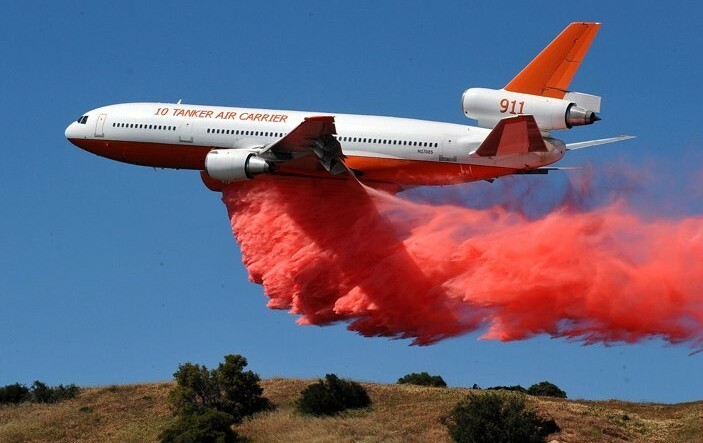 Sistership to 912, shown above, and ‘new’ tail number 910, DC-10 tanker tail number 911, (Never Forget), was modified and developed by 10 Tanker Air Carrier in Victorville, CA. Victorville Airport and McClellan Field in Sacramento are the two CAL FIRE air bases equipped to quickly refuel and reload the giant planes with 12,000 gallons of fire retardant or water. Above is a fine picture of the ‘old’ 910 by Alan Radecki on a demonstration drop in 2006 in Los Angeles County. The planes have been used as far away as Australia. This was the airplane converted by Victorville Aerospace. Tail number 911 above is the newest DC-10 conversion and used the ‘-30’ [dash thirty] model with larger engines and other improvements. The third DC-10 (Tanker 912) also served as a commercial and military transport aircraft for OMNI Air International, and began service as an airtanker in August 2014. (Photo courtesy abqjournal.com). 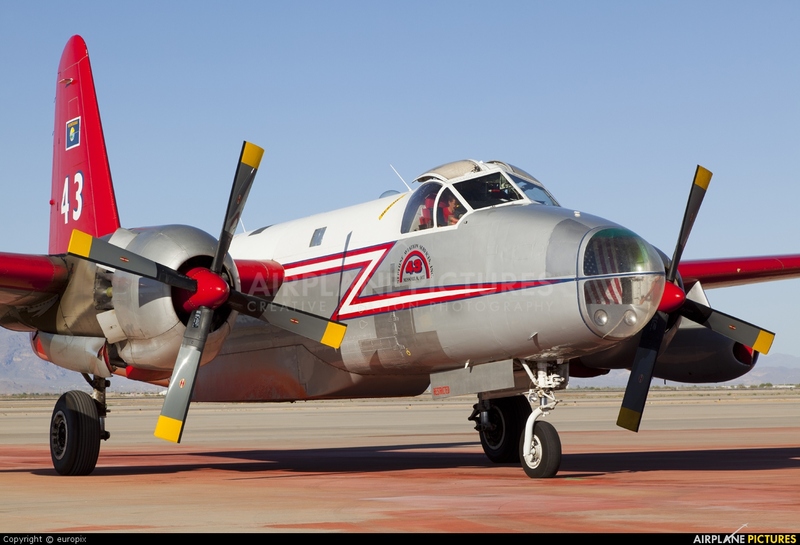 The giant tankers are impressive but the usual CAL FIRE types are seen more often, like these OV-10A Broncos, which CAL FIRE has 14 examples of. (Photo by Bill Gabbert). 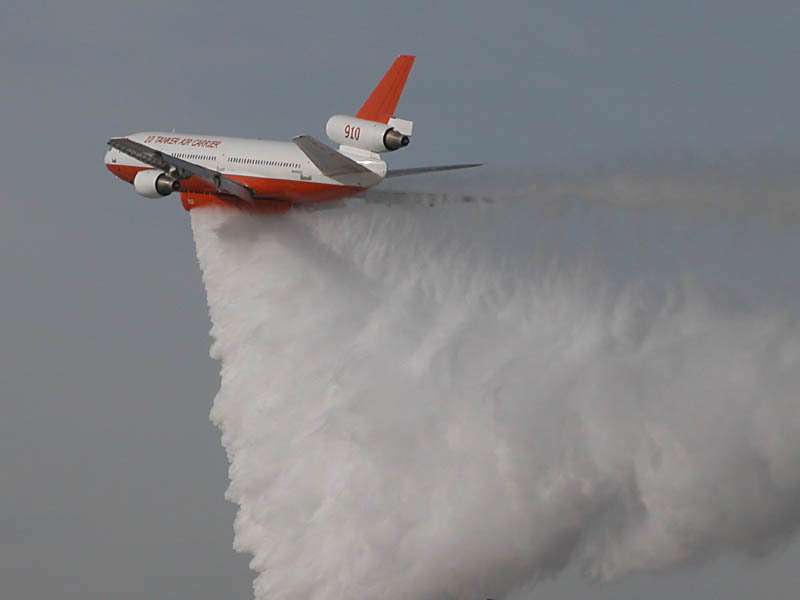 One drop from a DC-10 is equivalent to 12 drops from a Grumman S-2T Tracker (shown below, also by Alan Radecki). The S-2T is the mainstay of the CAL FIRE fleet, cruising at 305 mph and carrying 1,200 US gallons. There are 23 S-2Ts in the CAL FIRE fleet. 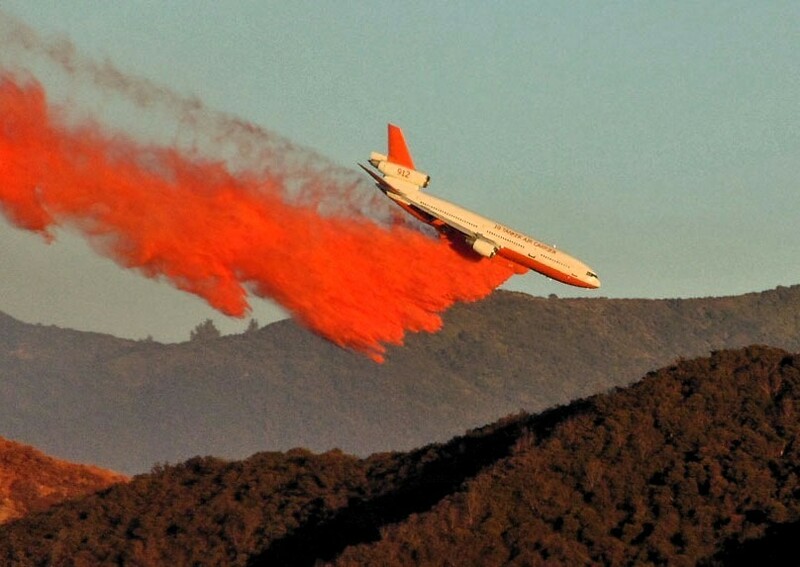 Per CAL FIRE: The retardant used to slow or retard the spread of a fire is a slurry mix consisting of a chemical salt compound, water, clay or a gum- thickening agent, and a coloring agent. At nine pounds per gallon, an S-2T can carry 10,800 pounds [6,713 kg]. 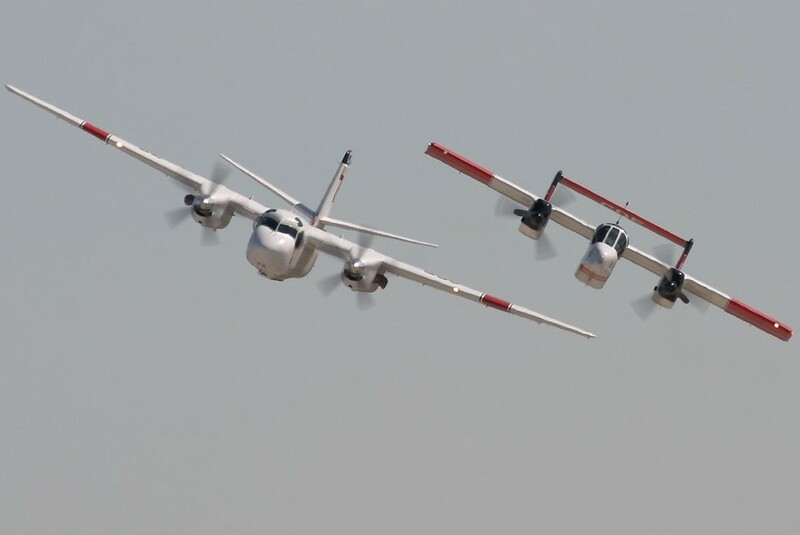 Above is a shot from http://www.richard-seaman.com showing an S-2T and an OV-10A in formation. 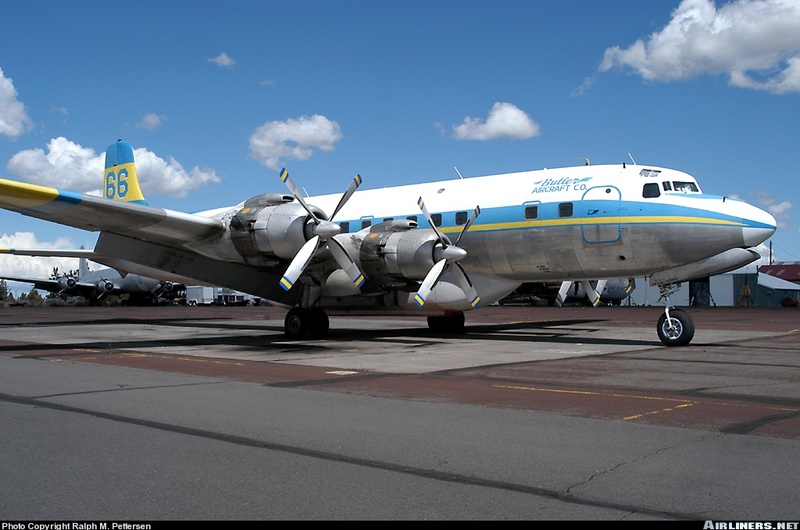 I like the old planes best so it was fun to spot what I think was tail number 66 (FAA # N6353C), a converted DC-7 from Butler Aircraft Co. Photo via Airliners.net. The last plane I spotted in Roseville was former US Navy and Coast Guard patrol plane, the P2V Neptune. 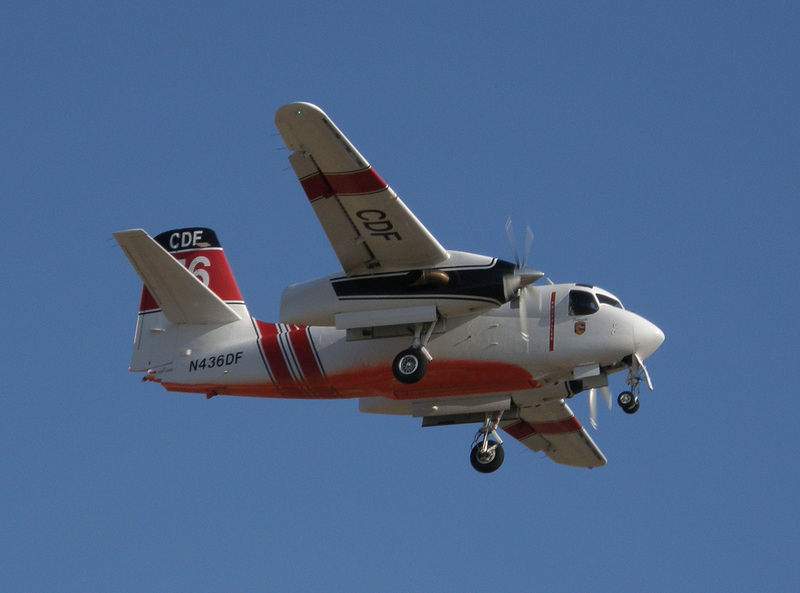 They can carry 2,080 gal (7,874 l) of retardant and have a service life of 15,000 hours. Photo courtesy http://www.airplane-pictures.net.